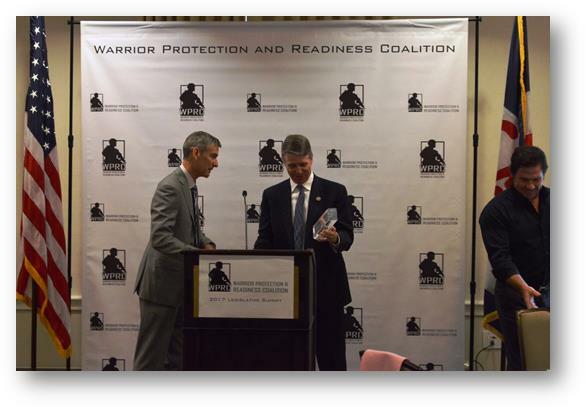 WASHINGTON – Senator Jeanne Shaheen (NH) received the 2018 Warrior Protection and Readiness Coalition (WPRC) Sentinel Award for her unwavering advocacy on behalf of U.S. servicemembers, homeland security personnel, and the domestic defense industrial base. 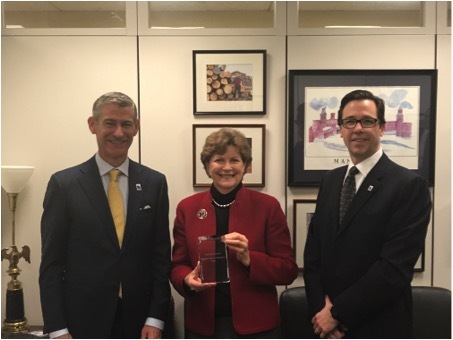 The Sentinel Award specifically recognizes Senator Shaheen for her work to provide high quality, American made gear and equipment to the Federal government at the best value to the taxpayer. WPRC member companies strive every day to provide innovative, advanced solutions to ensure that our armed forces are prepared for any encounter, anywhere in the world. Senator Jeanne Shaheen represents the State of New Hampshire. She serves on the Armed Services Committee, Appropriations Committee, Foreign Relations Committee, and the Small Business and Entrepreneurship Committee. U.S. Senator Jeanne Shaheen accepted the 2018 Sentinel Award presented by WPRC Executive Director David Costello (left) and WPRC Chairman Frank Montie (right). 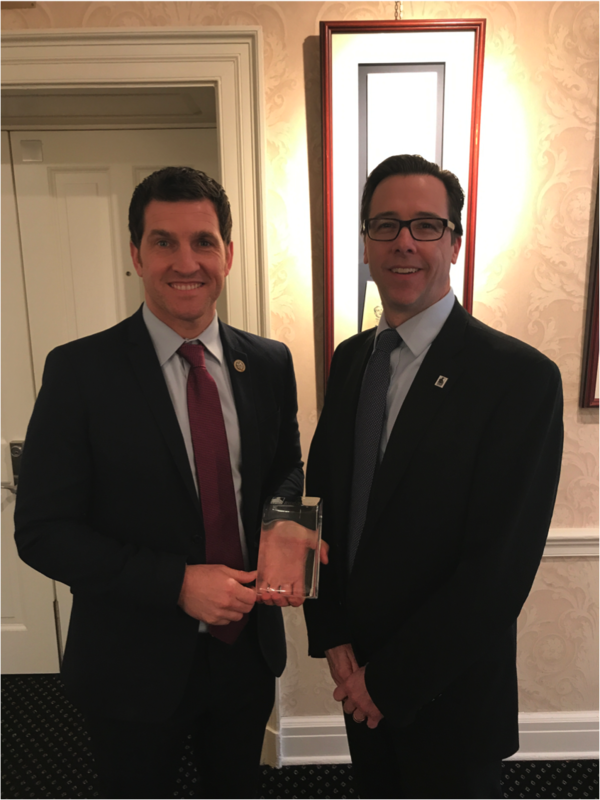 WASHINGTON — Congressman Scott Taylor (VA-02) received the 2018 Warrior Protection and Readiness Coalition (WPRC) Sentinel Award for his support of American service members and homeland security personnel responsible for the national security of the United States. 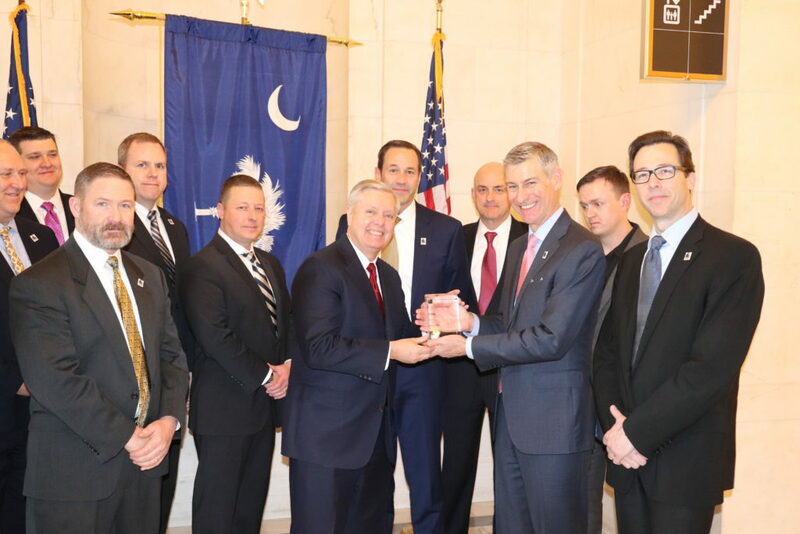 The Sentinel Award specifically recognizes Rep. Taylor for his advocacy to provide DOD and DHS operational personnel with high quality, American made clothing and equipment, such as body armor, clothing, boots, and helmets. 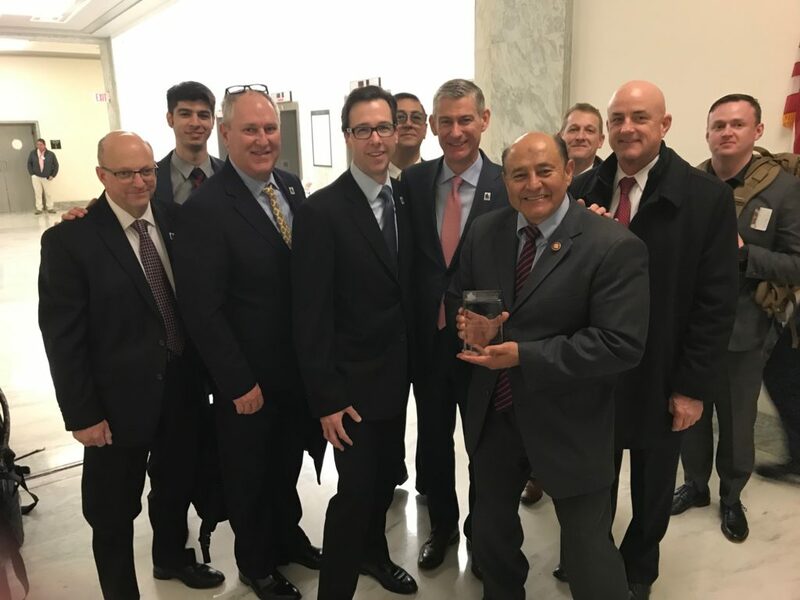 He is the primary sponsor of HR 1811, the Homeland Production Security Act (HOPS) and the soon to be introduced Homeland Procurement Reform (HOPR) Act. WPRC member companies strive every day to provide innovative, advanced solutions to ensure that our armed forces are prepared for any encounter, anywhere in the world. 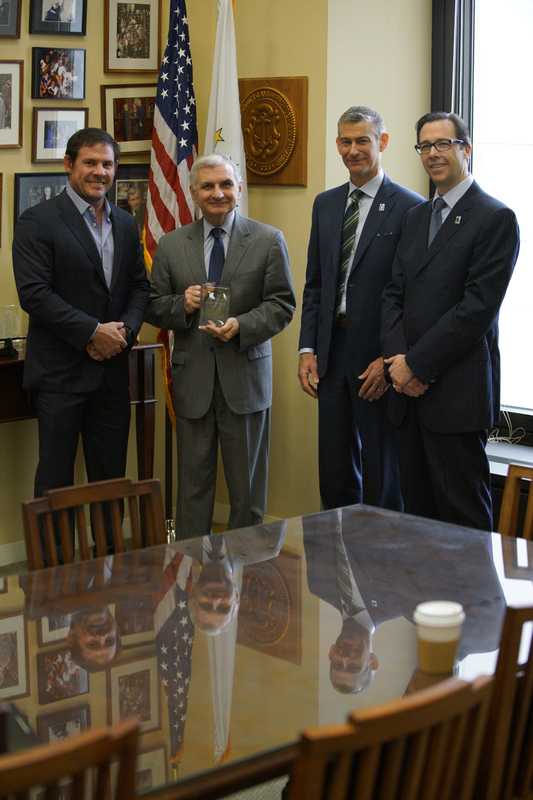 Congressman Scott Taylor represents the 2nd District of Virginia. 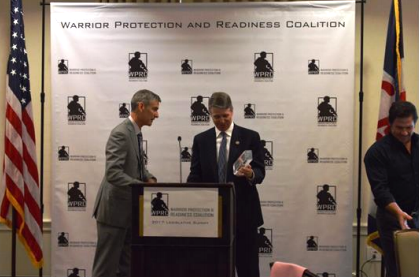 He serves on the Homeland Security Subcommittee of the House Appropriations Committee.